The Vegetarian Experience: Wild Ivy Flowers, St Albans: The flowers that travelled one thousand miles! Wild Ivy Flowers, St Albans: The flowers that travelled one thousand miles! As social networking continues to creep into more and more areas of our lives, physical copies of books like The Yellow Pages have no relevance for me, and so when I needed a talented florist for a bouquet I wanted to purchase, a chance encounter through a friend on facebook led me to Ellie who has just set up Wild Ivy, a new flower company in St Albans. Ellie at Wild Ivy offers flowers for all kinds of events, weddings, parties, gifts, sympathy and corporate contracts. Her portfolio includes The London Design Centre, Kew Gardens and the Greenwich Maritime Museum, as well as numerous weddings, parties and events. Along with running Wild Ivy, Ellie also juggles life as a busy Mum, often starting her day at 4am to go the flower markets. I can barely function at 8am, so for someone to be up, out and working at 4am is definitely an achievement to be admired in my book! 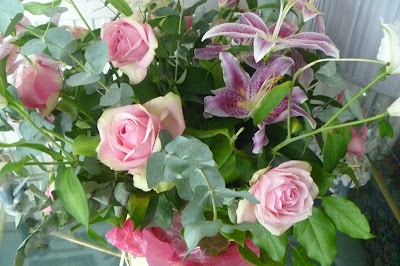 The flowers I intended on purchasing were for my Mother in law, as a gift from my Father In Law to thank her for organising his 70th birthday. Being male, and generally not his area of expertise, he delegated flower buying duties to me. My Mother in Law is herself very talented at flower arranging and goes to the local Flower Club . 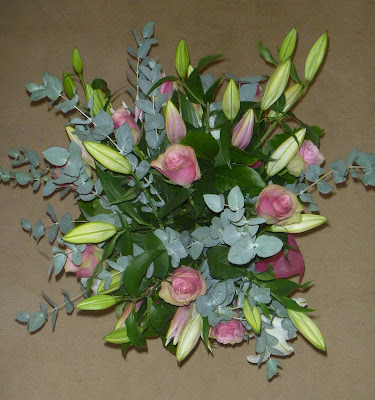 As she is interested in flower arranging, she also knows what flowers she likes, so I wanted to order flowers from someone who would be able to create a special bouquet with flowers that she specifically loves, rather than a few favourites with other flowers she is not so fond of added to make up the weight. 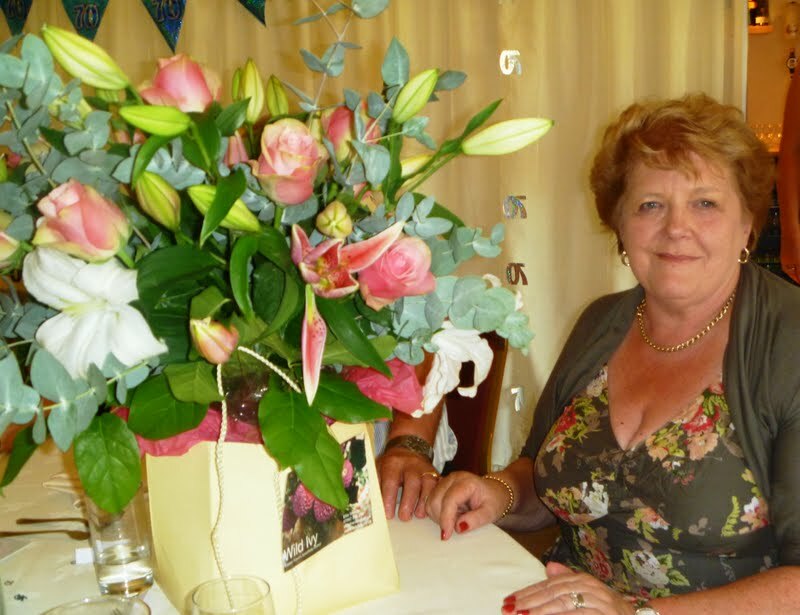 After looking at some of the beautiful creations on the Wild Ivy website, I contacted Ellie to chat to her about what I wanted, and she was immediately able to offer me bouquet ideas which completely fitted with what I knew my Mother in Law would love. Ellie kindly offered to comp my flowers in return for featuring the bouquet on my blog, so I was very excited to see what she would create! 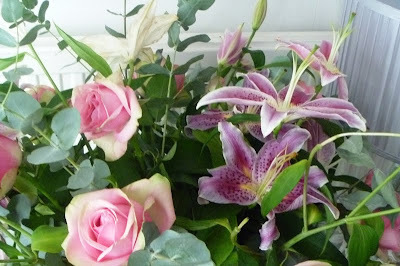 When the flowers arrived, both hubby and I were amazed at how outstandingly beautiful they were. 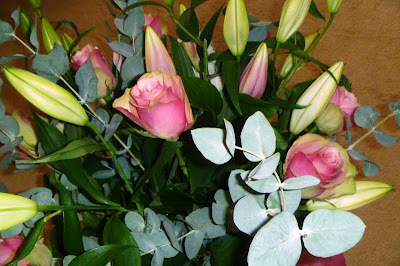 The bouquet smelt so fragrant and featured Lillies, and pink rose of a really good size, with eucalyptus and other foilage added for effect!. My Mother in Law was very excited & surprised to be presented with such a lovely big bouquet of flowers. Lillies and pink roses are her favourite flowers and she absolutely loved them. 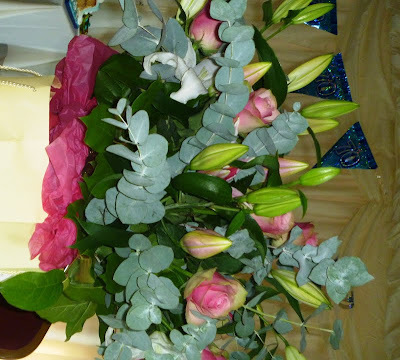 She was also very impressed with the arrangement and the quality and fragrance of the flowers. Two days after the party, we all left for a weeks holiday in Scotland. Not wanting to waste such beautiful flowers, my mother in law decided to take them with us! So a 500 mile north trip, an overnight stay in a car, a week's holiday, 500 miles back south and another overnight stay in the car, this is how they emerged from their 1000 mile round trip. We were really surprised that they had lasted the journey so well and still looked amazing. 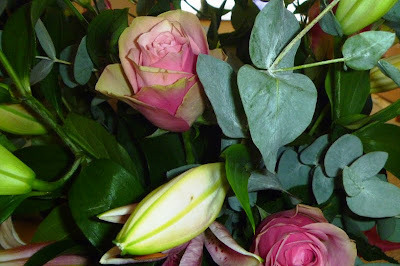 The flowers were so fresh, that they actually lasted a whole three weeks, and the roses lasted longer in a separate vase! 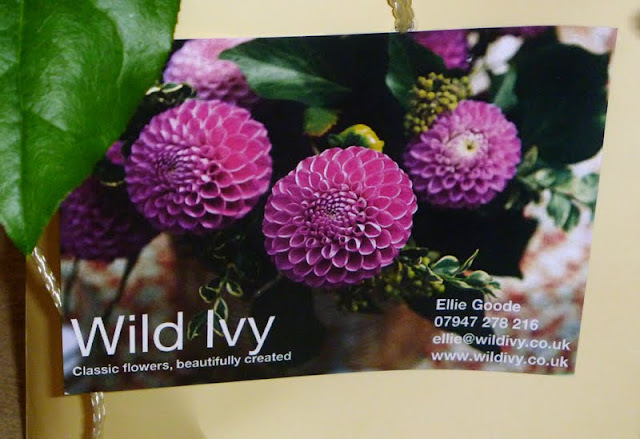 If you are local to St Albans and looking for a florist, I would definitely recommend contacting Wild Ivy. 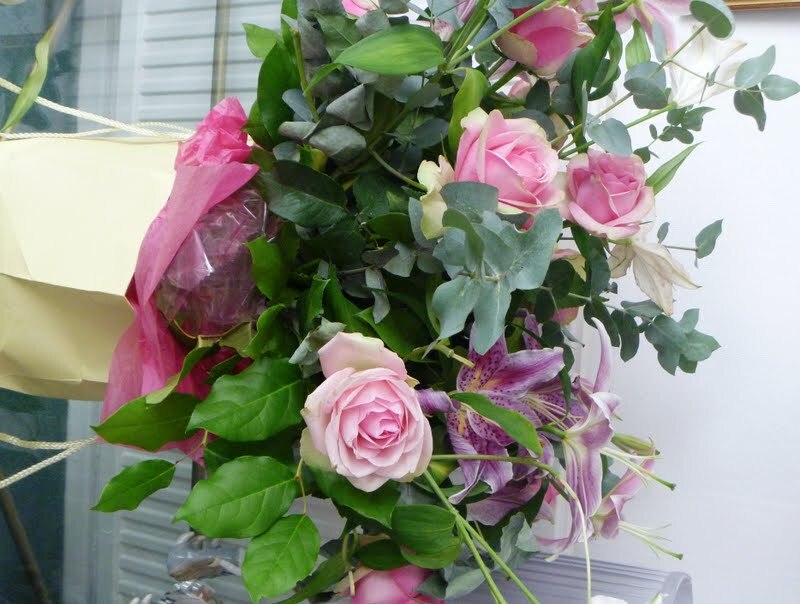 Ellie is a very interesting and creative florist and her flowers are absolutely amazing. I shall definitely be knocking at her door the next time I need flowers! Disclaimer. Flowers offered in consideration for review.